Christmas is coming up fast. Hopefully, you've already thought about what you're going to get your canine furry friend this year. If not, no worries. I have the perfect suggestion for you today! 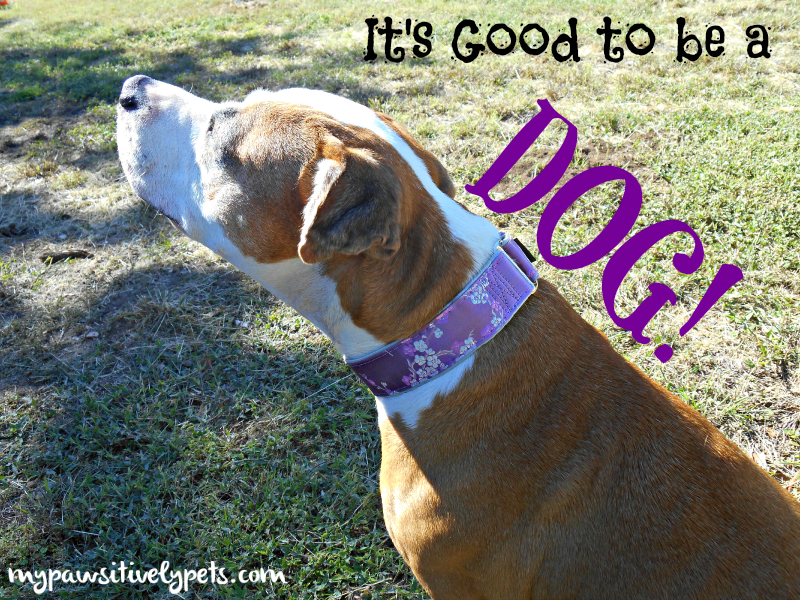 We were recently asked to review a designer dog collar from a company called 2 Hounds Design. After reading more about the company and looking at a huge list of beautiful dog collars, I agreed. 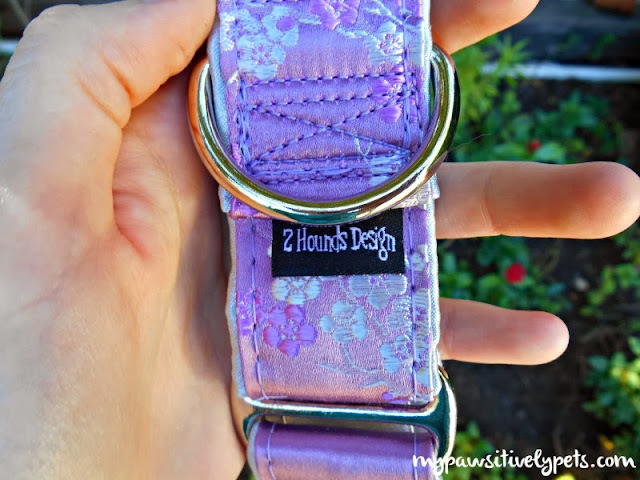 2 Hounds Design is a company who's team is devoted to creating the perfect dog collar for your best furry pal. Their collars and leashes are custom-made in the USA. They pay careful attention to the safety, functionality, and comfort for your dog. Plus, they offer an enormous selection of colors, patterns, fabrics, and designs. On top of all these great things, they also donate to charity which is always good in my book. After searching through so many pretty designer dog collars, I finally settled on one to try out on Shiner. I picked the "Cherry Blossoms Lilac" dog collar from the Asian Silk Dog Collar section. I wanted a very feminine collar, because Shiner is often mistaken for a boy doggy. And purple is my favorite color too. I decided on a Martingale style collar because I've always wanted to try one. There are other styles of collars available also. Everything is custom made to order. I'm so glad that the website has instructions on how to measure your dog's neck for a collar. Otherwise, I probably would have been lost when trying to choose a size. Shiner is a large dog usually, but sometimes she's right on the border of a medium sized dog. I think our designer dog collar from 2 Hounds Design looks great on Shiner. It's excellent quality and I am overall very pleased with it. I think that next time I order a dog collar, I might pick a different fabric besides the silk. I noticed that after Shiner scratched at her neck a little it became slightly frayed. Regardless, it's still gorgeous and functional. 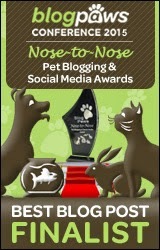 Here are some of my other favorites from 2 Hounds Design website pictured below. 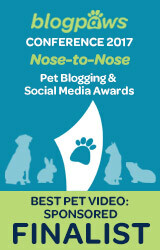 As you can imagine, it was very hard to choose just one collar to review! 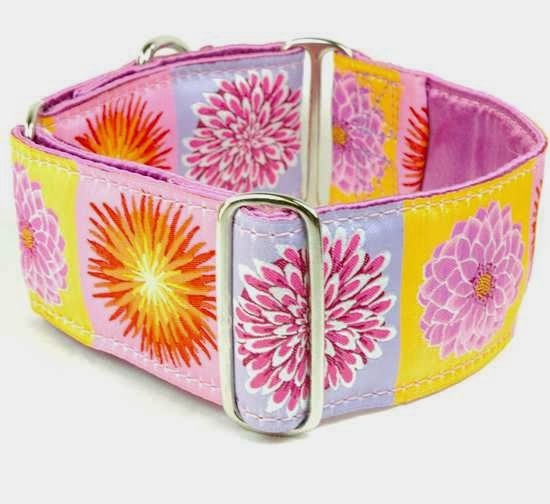 So, if you're addicted to super cute collars for your dog I recommend visiting the 2 Hounds Design website and taking a look around. They've got some great things over there that would make perfect Christmas gifts! We received a dog collar from 2 Hounds Design at no charge for our honest review and opinion of the product. I'm often tempted by pretty collars. But I'm worried they won't last as long as the, let's face it, ugly, sturdy ones. Lol, well Shiner doesn't have too many dates ;) She has been using it for about a month now though. This particular material became a little frayed after she scratched it. I think a more sturdy fabric might be ideal for wear and tear. I still think these collars are made with high quality and know it's going to last a very long time. I've been putting my hound in 2 Hounds Collars for nearly 4 years and they absolutely stand up. You can even put them in a pillow case and throw them in a washing machine to clean them. They stand the test of time and the hardware on them is so durable and sturdy that I've never needed to readjust a collar based on it slipping. Highly recommend them. Hi Kelly, thank you for sharing this with us! I haven't had mine for a terribly long time, but just by looking at the collars I can tell that they are very durable. Oh wow, I love those!! 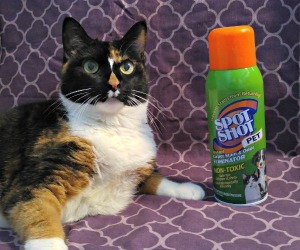 You picked a great one for Shiner, very chic. I know! It's her only girly collar right now. Very very pretty. Brown dawgs would destroy a pretty collar...lol. Those are some stylish collars! Looks great. Mom is a serious collar addict, we have some 50 in our closet! These look pretty, but we have to have those ones with nylon on the back and ribbon. The fabric ones just fall apart way to fast on us. We are always looking for new ones, though. Hmm, they may have some like that but I'm not sure. If not, I bet you could always do a special request. I might not order any during Christmas, but I'll put it on the list for my own dogs! These look great! You totally should Andrea! They are such beautiful collars. Shiner looks beautiful in her collar! I love the one you picked, but they are all beautiful. I used to think we were stuck with the same old blah collars that everyone sells everywhere, and it seems they never come out with new designs. I change the dogs collars more now than I ever used to, so I love to have some variety, and am glad to know there are more options out there now. I'm not—heh heh—looking for a collar but love the 2 Dahlias one. Too bad they don't make them for cats! That is so so beautiful! Lavender is Maya's color too. We love those they are way cool and Shiner is the perfect model. Way to go Shiner. That collar looks great on Shiner! Beamer is due for another collar soon. I'm going to have to check 2 hounds out! Collar designs sure have come a long way since the plain ones! Very nice! Is that the 2" Shiner has one? Hey Bren, this one isn't a 2". I think a two inch would look amazing though! Beautiful collar, very feminine Shiner! 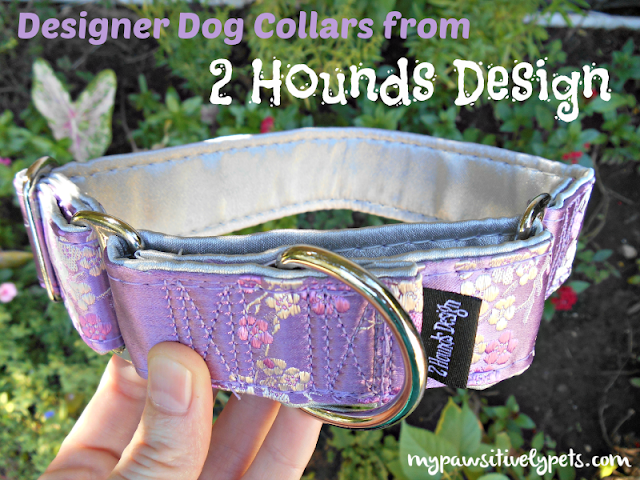 I love 2 Hounds Designs and their collars (and harnesses!) - this fabric is awesome on Shiner!